Make your time in southwest Colorado’s San Juan Mountains even more memorable with a stay at the historic Strater Hotel. 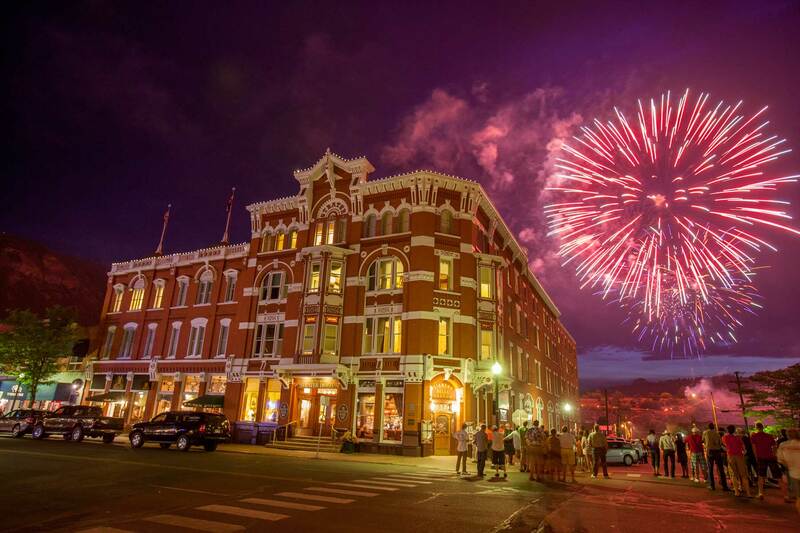 This grande dame hotel on Durango’s Main Street has hosted folks looking for comfortable elegance in the heart of the high country since 1887. The hotel is remarkably well preserved and is a fine example of Victorian architecture, with its stately brick exterior and beautifully appointed interior. Authentic antiques are displayed in common areas and rooms. But make no mistake, the Strater also prides itself on modern comforts: cozy beds, flat-screen televisions, private tiled Victorian bathrooms and air conditioning in the summer. Spring, summer, winter and fall — the Strater attracts guests year-round to enjoy the mountains, rivers, hot springs and other attractions, like the ziplining, golfing or jeeping. Once you’re here, you can access Durango’s downtown on foot. The hotel is walking distance to restaurants, shopping and the historic Durango & Silverton Narrow Gauge Railroad Train depot — a ride on the train is a must-do activity for every visitor. And within a short drive, you can hit the slopes at Purgatory Resort in the winter, just 25 miles north of the hotel. Purgatory offers both steep tree-skiing trails and wide-open cruisers. Known for its powder and sunny days, Purgatory has 1,360 acres of skiable terrain, 88 trails, 10 lifts, five terrain parks and a vertical drop of 2,000 feet. Another road trip will take you to Mesa Verde National Park, about 40 minutes from the Strater. Mesa Verde — Spanish for “green table” — offers a look into the lives of the Ancestral Puebloans who lived here for more 700 years, from A.D. 600 to A.D. 1300. It’s a fascinating day trip, where you can explore cliff dwellings and photograph the remarkable canyon landscape. 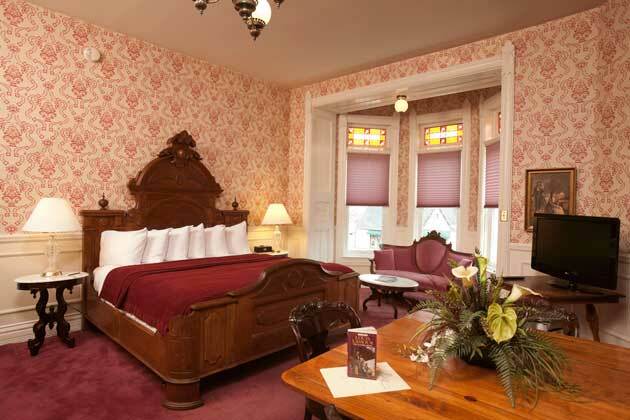 After a day of recreation, you’ll want to settle back in at the Strater Hotel. A beer served up by a costumed saloon girl at the onsite Diamond Belle Saloon will hit the spot. This ragtime piano bar has happy hour daily from 4pm to 6pm and serves lunch, dinner and weekend brunch. From June to October, the Diamond Belle also stages Old West gunfights (with blanks of course!). For fine dining, the Strater’s Mahogany Grille serves up sumptuous meals crafted from local ingredients whenever possible. Hand-cut steaks, Rocky Mountain trout and an extensive wine list characterize this restaurant that blends the old with the new. The eclectic breakfast and dinner menus change seasonally. The Office Spiritorium is a little retreat in the hotel that serves unique handcrafted drinks; boasts an exceptional wine list; serves up several varieties of absinthe, draft beer and inventive appetizers and offers daily live music. They also have a light dinner menu and host happy hour from 4pm to 6pm daily. For entertainment, the longstanding Henry Strater Theatre hosts comedy, concerts and dramatic productions. To find out about upcoming shows, check the theater’s events calendar.